Hybrid Camera Revolution: Is the new Blackmagic Pocket Cinema Camera 4K a GH5s killer? Is the new Blackmagic Pocket Cinema Camera 4K a GH5s killer? 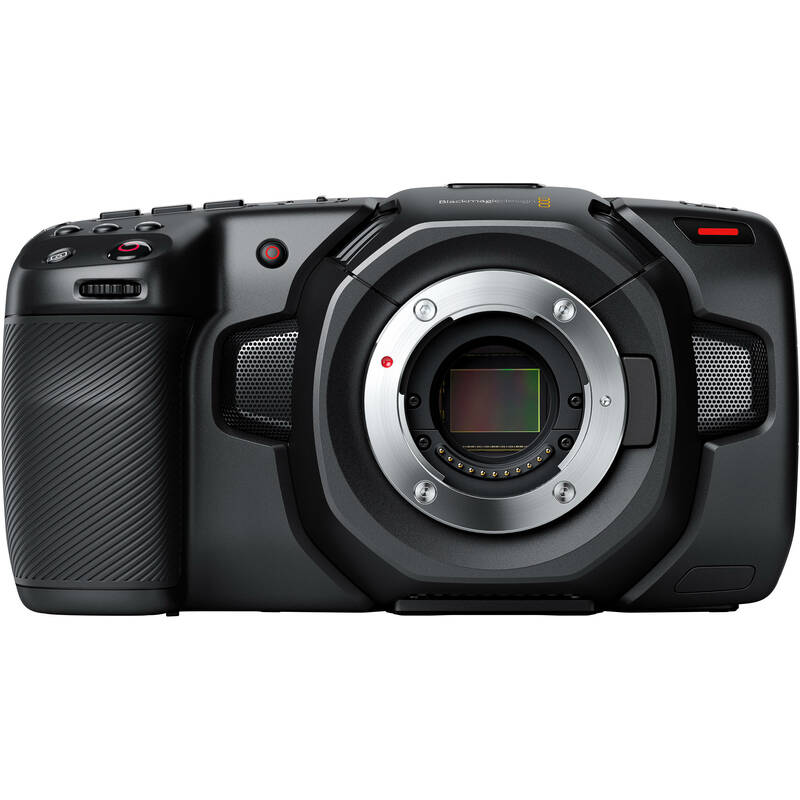 With its full 4/3 sensor, dual native ISO up to 25,600, internal 12-bit losslessly compressed RAW & 10-bit ProRes recording up to full 4096x2160 DCI 4K/60p, dual card slots with CFast2.0, mini-XLR microphone input with phantom, 5" touch screen, recording to a simple external USB-C drive, free copy of DaVinci Resolve Studio and $1295 price, the new Blackmagic Design Pocket Cinema Camera 4K (BMPCC 4K) introduced at NAB 2018 today is a formidable competitor for the sub-$2000 still/video hybrid cameras from Fuji, Panasonic and Sony. Although Panasonic gives its customers 10-bit color space, Fuji and Sony cameras are limited to amateur 8-bit color - and none of them can record RAW. Neither can these cameras record to a simple external drive (unless you buy an expensive recorder) - and they don't have XLR jacks with phantom power. The BMPCC 4K is not a perfect camera - it lacks an articulated LCD and in-body stabilization, but with the $1000+ you'll save over the price of the GH5s, you can afford a $199 5"1080p external monitor and a $749 Zhiyun Crane 2 gimbal. With this setup, you'll get a stabilized 4K/60p 12-bit RAW image with a max 25,600 ISO for less than the price of the 10-bit Panasonic. Amazingly, this little camera conforms to Netflix standards for 4K production and to the Digital Cinema Initiative's Digital Cinema System Specification - so it is ideal for just about every shooter -all the way from vloggers to wedding videographers to independent filmmakers and broadcast media producers. More to follow as soon as we have sample video! You can pre-order the camera for September 2018 delivery from Adorama here.